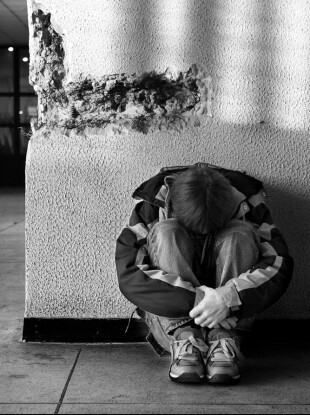 THE ISPCC HAS said its latest survey highlights the need for social support to help protect children’s mental health. The children’s charity has said that there is an urgent need to further develop and adequately resource community support services in order to equip families and communities to better support children’s emotional and mental health needs. It said that the dearth of support services for children aged 16 years plus needs to be addressed, particularly in the area of child and adolescent mental health services. Young people in this age group have only a short window of opportunity to avail of an age appropriate support service before they move into adult services so it is vital that they receive the support they need at this critical period in their life. The ISPCC has just released its third annual National Children’s Consultation, ‘Not bottled up inside’, which is a survey of over 14,000 young people in Ireland. The report found that family life has the most impact on children’s emotional wellbeing (44 per cent), followed by friends (42 per cent) and school (36 per cent). It also found that the number of young people who report a family member as someone who cares about their feelings declines with age – from 80 per cent of 10-12 year olds to 58 per cent of 16+ year olds. Fifteen per cent of children said they could not really talk about their problems with their family. Meanwhile, 63 per cent of children aged 10 – 12 said they would definitely know where to go for support, as opposed to only 44 per cent of young people aged 16+. Five per cent, or 700 young people, said that there was not a family member around when they needed them. Last year the ISPCC Childline service received 6,673 calls in relation to mental and emotional health, which it says may indicate that for some young people “support isn’t always readily available”. The reality is that young people who report a poorer level of social support are more likely to report feeling nervous and sad and that ‘everything is difficult for them’ a lot or all of the time. Sharing a problem can really help as surmised by one young person surveyed who said they ‘felt better because it’s not bottled up inside anymore’. Email “ISPCC: Lack of teen mental health supports needs to be addressed”. Feedback on “ISPCC: Lack of teen mental health supports needs to be addressed”.